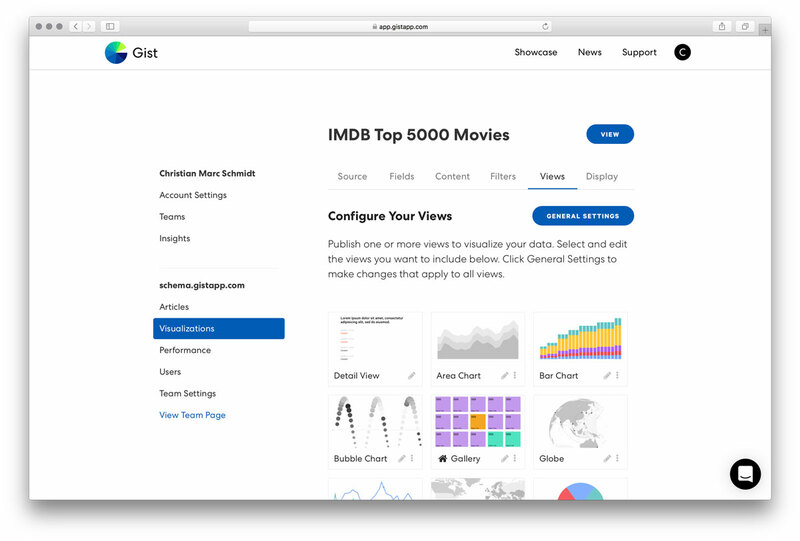 ‍Publish visualizations, insights and articles online, fully hosted by Gist. Embed visualizations on your website. 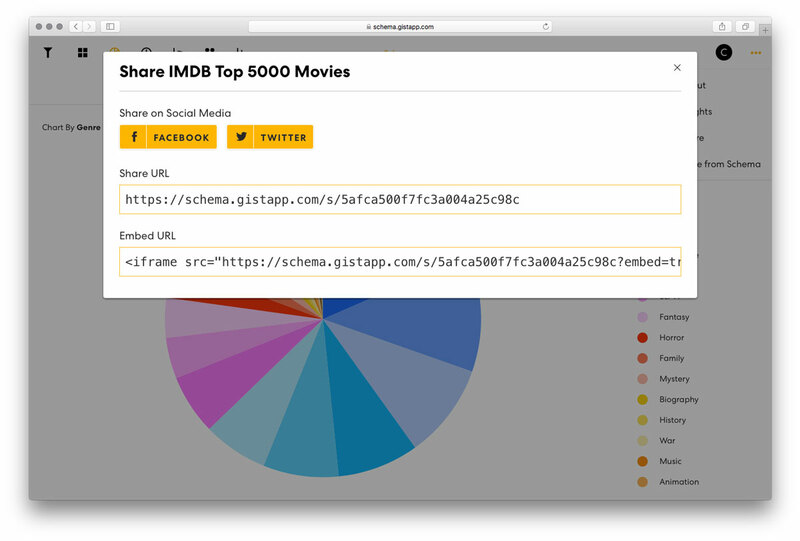 Connect to the Gist Cloud API to feed data stored in Gist to your web apps, hosted on your own external servers. 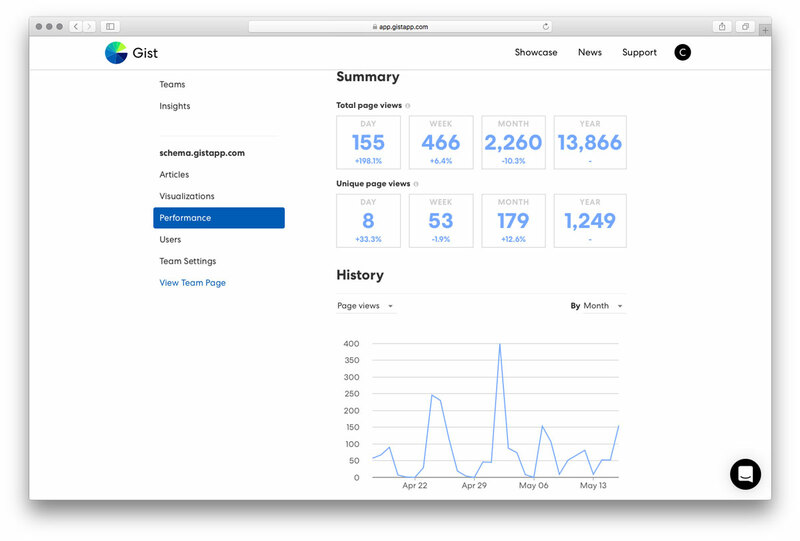 ‍Deploy the full Gist platform on your own servers, for internal teams or external audiences. Unlimited users. ‍Deploy custom Gist applications on your own servers. The full Gist platform, customized to your needs. Learn more about how Gist can benefit your organization. Go beyond dashboards. Create fluid, interactive visualizations that let anyone experience data, discover meaningful insights and share them with others. Gist’s intuitive interface makes it simple to manage your data. Upload spreadsheets or connect to an API. Gist is easy to use by anyone—no expertise needed. Open up your data. Post insights to drive engagement. 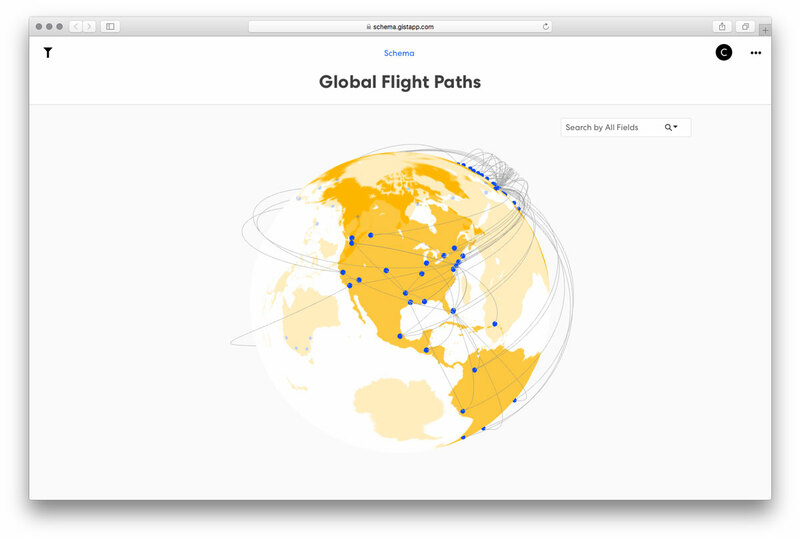 Share visualizations with individuals or teams, and embed them in a Gist article or on your website. Gist is a comprehensive solution. From curating data, to managing teams and users, to measuring web traffic—all the tools you need are right at your fingertips.